Want it by Wednesday 24th April? Order within 4 days, 12 hours, 28 minutes and choose Special Delivery 24 Hour Delivery (Signature Required) at checkout. Perfect for keeping you warm this winter the Mayfair Down Coat is designed with ultimate warmth in mind. Ethically sourced down has been used to create this baffle quilted coat and the neck and cuffs of this gorgeous coat are crafted from soft and cosy Merino. Extra warmth has been added with fleece lined front pockets and a high funnel neck. 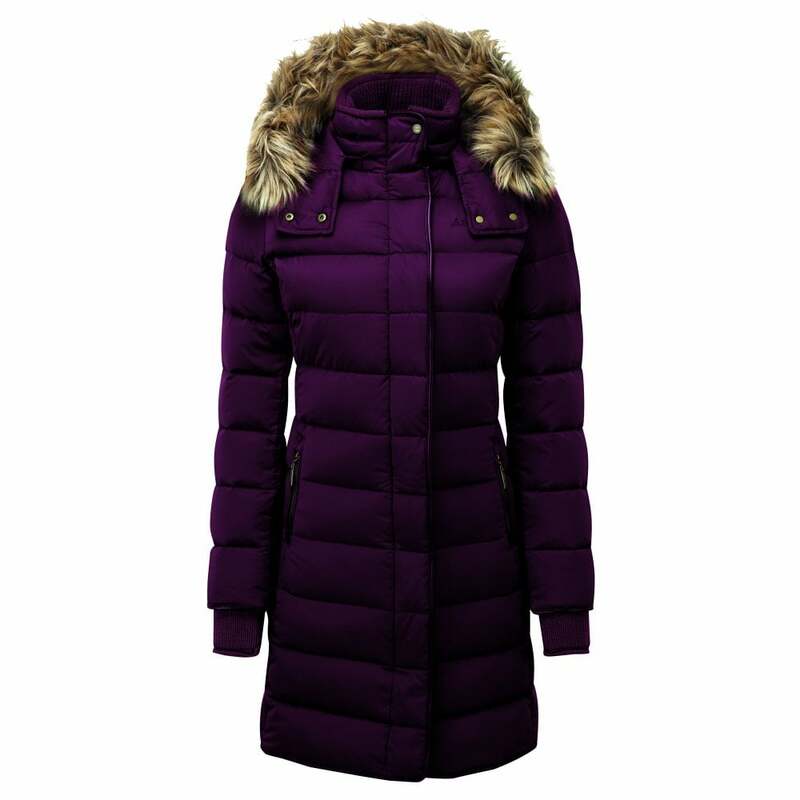 The faux fur trimmed hood adds extra versatility as it can be easily detached meaning you can achieve a variety of different looks with this coat. Luxurious and warm this coat is the perfect addition to your winter wardrobe.